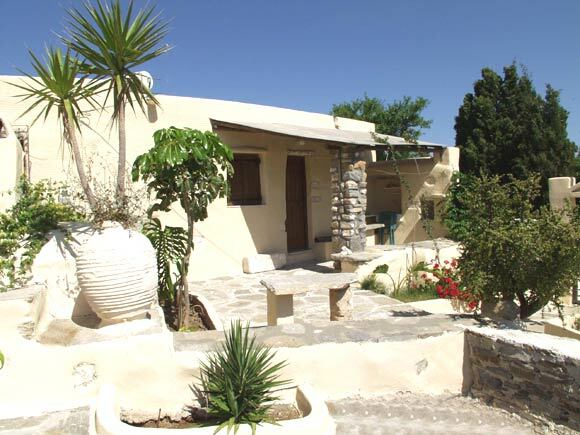 Traditionally built rooms and apartments on a hill overlooking the bay of Paros. 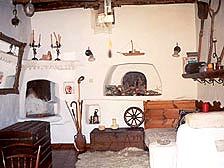 The original construction was a farmhouse. 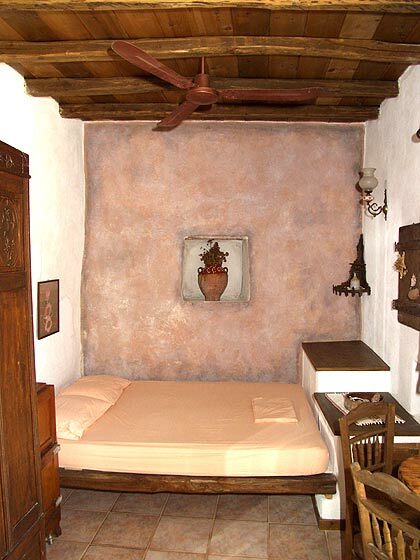 The owner, Mrs. Anthippi, who is an architect herself, has renovated it. The original stonewalls were preserved and are offering a remarkable natural insulation. 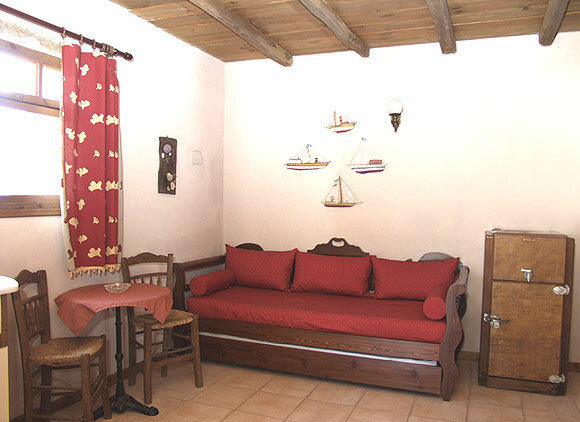 Each of the apartments is original and has been refurbished with a lot of love and care. 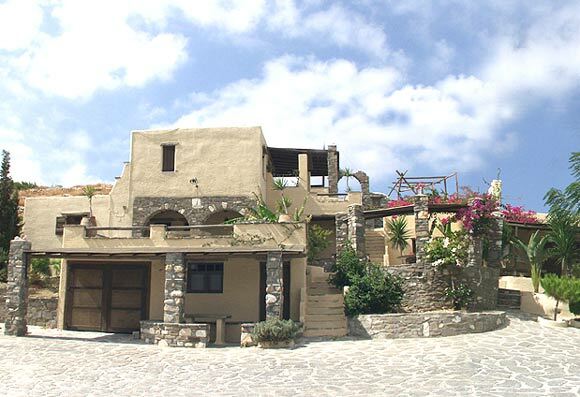 The local authorities have recently classified the buildings as protected because of traditional architecture interest. 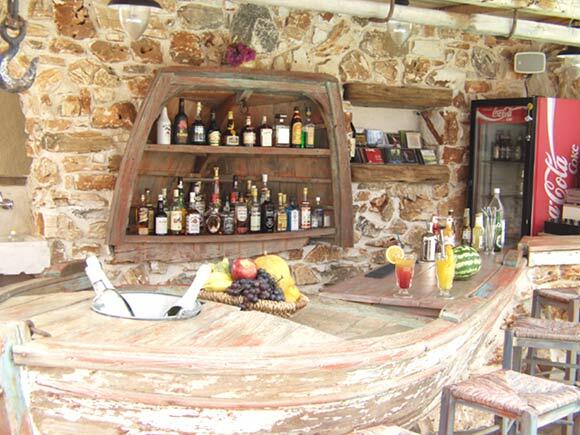 Anthippi has been working as an architect in Athens until she decided a few years ago to come back to her roots and refurbish the old farmhouse she had inherited in Paros. 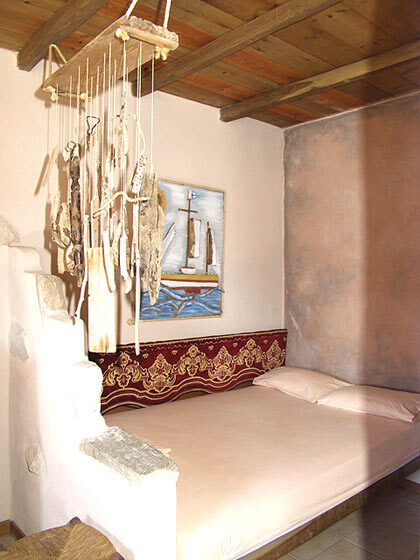 While restoring the original buildings, she took a lot of care to preserve the prevailing atmosphere of the traditional Cycladic farmhouse made out of stone. She looked around for original furniture and according to what she had found, she gave a different touch to each of her apartments. The issue was to achieve an optimized balance between traditional architecture and modern comfort. The result is very charming! Come and check it out by yourself! 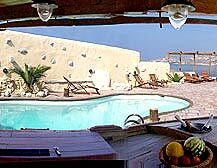 Anthippi offers self-catering studios and apartments for 2 to 4 persons. 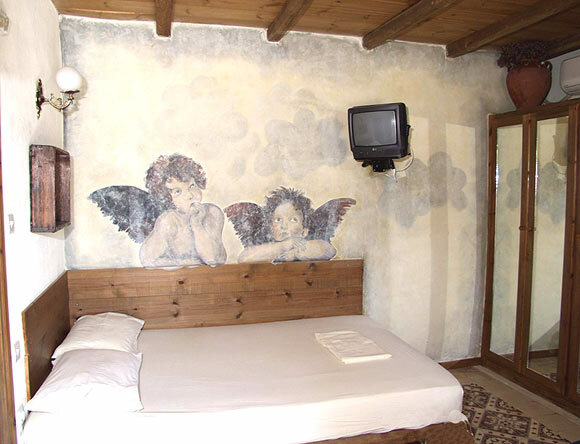 Each of her accommodation is unique in its arrangement and decoration. 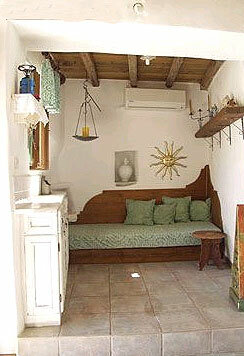 They are all air-conditioned and have an individual terrace; some of them offer an outdoors kitchen, in the terrace. 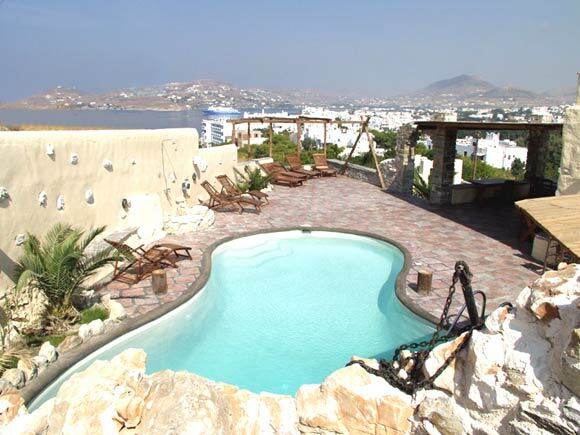 For those of you who are looking for a "cool moment", Anthippi Hotel has a swimming pool along with an original pool-bar and a café, serving breakfast, coffee, drinks and snacks "à la carte". Rent-a-car/bike and boat services are also available.